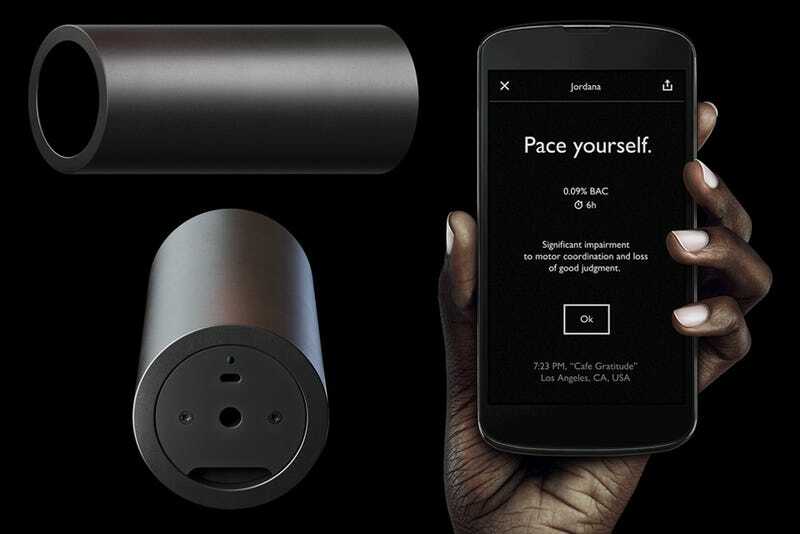 There are a lot of smartphone breathalyzers out there, but they don't tend to prioritize design aesthetic. It's more of an 'am I too drunk, yes or no,' kind of thing. But the Lapka Bam Breathalyzer is all about bringing form and function together. First of all, the Lapka is designed so you don't need mouthpieces or any external elements other than the handheld breathalyzer itself. By cupping your hand around the device and blowing into it for four seconds (that's pretty short for one of these things) you customize it as much as you need to. And the design is a super minimalist black ceramic cylinder. Nothing flashy or even noticeable. The best sobriety checks, after all, are the discreet ones! The app, iOS and Android, has some nice design features including a UI that simplifies and clarifies itself as it detects your BAC climbing.